Looking for a Diamond Guard, a Diamond Wrap or a Diamond Enchancer to make your Diamond Engagemnt Ring really pop? Your in luck. At Houston Jewelry we have a large selection of Diamond Guards, Diamond Wraps, & Diamond Enhancers. Whether you need yellow, white or rose gold even platinum we can find one that will work for your ring. Have an unusual design or a custom piece? Not a problem, we can custom design one for you. It doesn't have to be diamonds either. If your prefer colored stones we can do that too! Imagine a gorgeous sapphire wrap accenting your incredible diamond enagagement ring. Stop in our showroom today and let one of our jewelry specialists find the perfect accent to your perfect engagement ring. 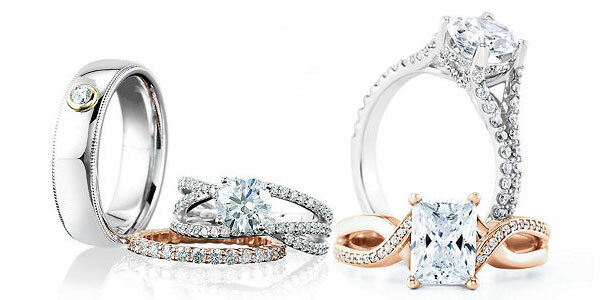 Please click here for options on financing your engagement ring.